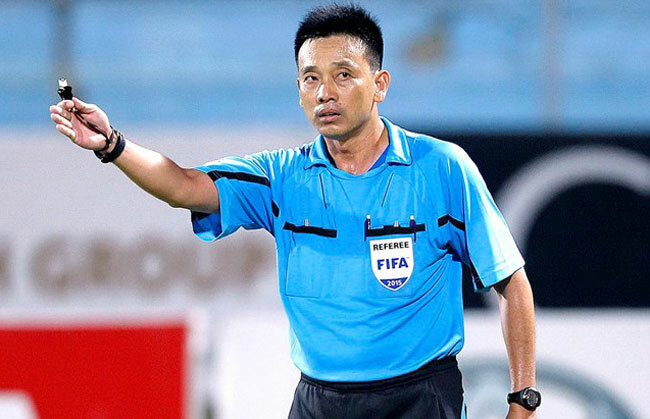 HA NOI (VNS) — Vo Minh Tri has been awarded the Golden Whistle as the best referee of the 2014-15 football season by the Viet Nam Football Federation. Tri, a FIFA-certified referee, won the title with 147 points on Saturday. Hoang Anh Tuan took the Silver Whistle with 42 points, followed by Nguyen Duc Vu with 24. "It is the second time I took the title. It will be a strong force to make me work better in the future," Tri said. Tri, from Long An Province, received his first title was in 2010. Also, Nguyen Trung Hau won the Golden Flag as the best referee assistant of the season.